VeinSight™ vein finder adopts the latest vein visualization technology and the unique digital image processing system, it can accurately obtain the real-time two-dimensional image data of veins, which can aid healthcare professionals in finding a good vein for venipuncture and highly increase the patients’ satisfaction. Click to see more images and video. VeinSight™ Vein finder is particularly suitable for patients with difficult venous access (DVA) which include The children, the elderly, dark-skinned patients, burn victims, patients having many diagnostic or therapeutic intravenous procedures, oncology patients on chemotherapy and etc. 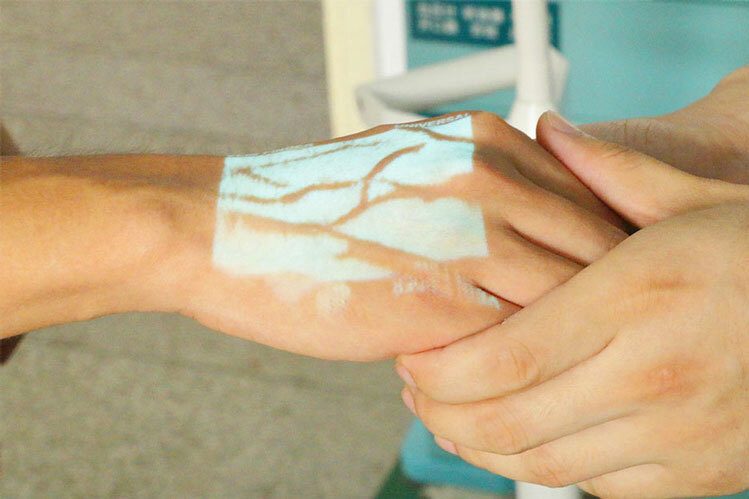 For those who the medical workers have difficulties to locate the vein on, vein visualization breakthrough technology can help them to locate the veins beneath the skin’s surface. VeinSight™ serials near-infrared vein finder bases on the near-infrared absorbance difference between veins and surround tissue, it projects accurate and real-time vein image on the skin of patient. VeinSight™ vein finder can be used to find and evaluate the patients’ veins, help nurse to do vein puncture. VeinSight™ vein finder can help increasing first vein puncture attempt successful rate, increasing vein finding and puncture efficiency, increasing patients’ satisfaction and decrease medical disputes. 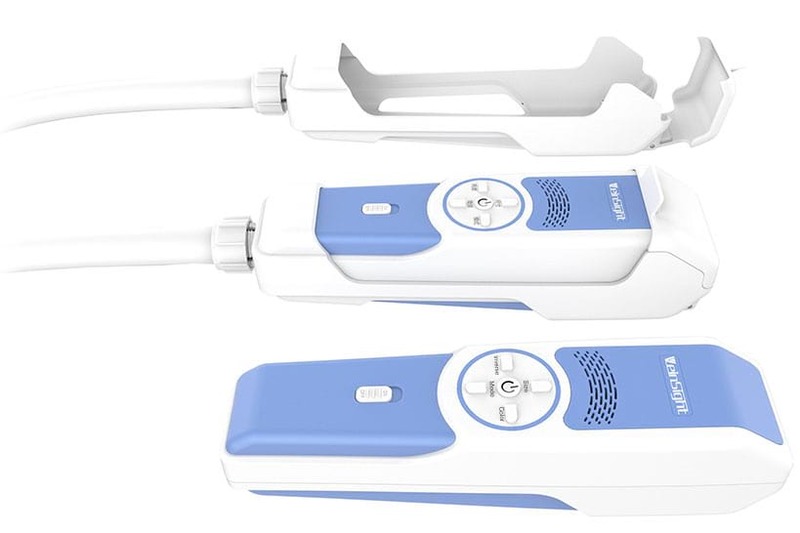 VeinSight™ vein finder is widely used in the following departments: pediatric, emergency, oncology, geriatric, radiology, laboratory, vascular surgery, plastic surgery, etc. VeinSight™ vein finder use harmless near infrared light to irradiate human skin surface, utilizing differences light absorption rate of blood and body superficial tissue to get vein digital information of veins, and then through the biological image processing system and identification technology, to map the image accurately on the surface of the skin, which makes it possible to visualize the vein in real time. VeinSight™ vein finder use a certain wavelengths of DLP© projection technology, the infrared light source will not generate heat or harmful radiation, it is safe and reliable, which will cause no direct harm to the human eyes or any other parts; there is no direct contact with the patients when using the instrument, so it can avoid the risk of cross contamination. 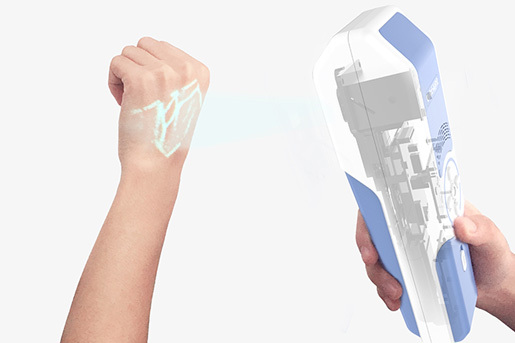 At the beginning of the design of VeinSight™ vein finder, we have already considered the main factors that will affect the experience of the vein finder, such as the operation habit of medical staff, it has to be easy to use and easy to maintenance, using hands-free accessory, it is convenient for the user to move the vein finder around. We also have considered the Differentiation among people like children, the elderly and the obesity. VeinSight™ vein finder has three window sizes (full, 2/3 and 1/2) whitch can meet the needs of different environments and different pateint. VeinSight™ vein feinder has design five different display colors for selecting, to meet the needs of different skin colors and different illumination conditions, including natural color, ultramarine blue and light green. In certain circumstances, the hospital staff may need to adjust the brightness in a stronger or weaker light environment so we have developed a modulated brightness pattern. Stronger enhancement pattern is for some difficult-to-find vein such as the obesity or children whose vein may be hard to track. 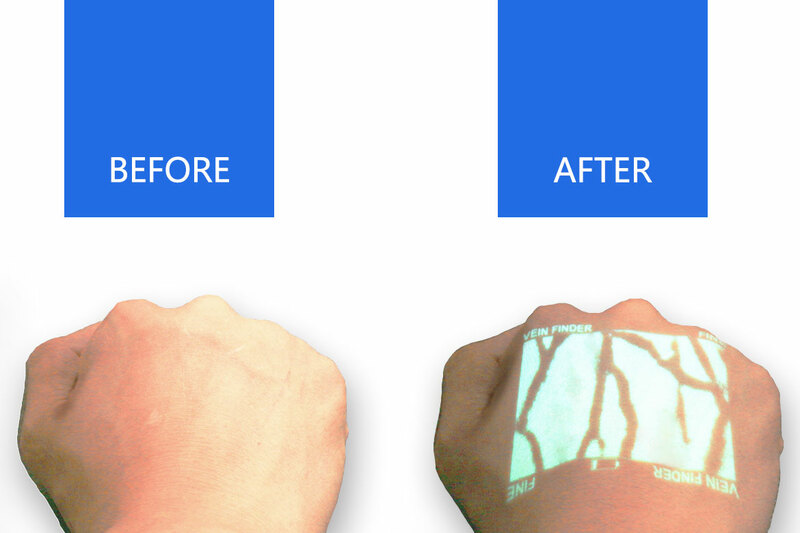 VeinSight™ vein finder provide more humanized display mode, which can be very useful for the Dark-skinned patients whose vein may not be visible.. 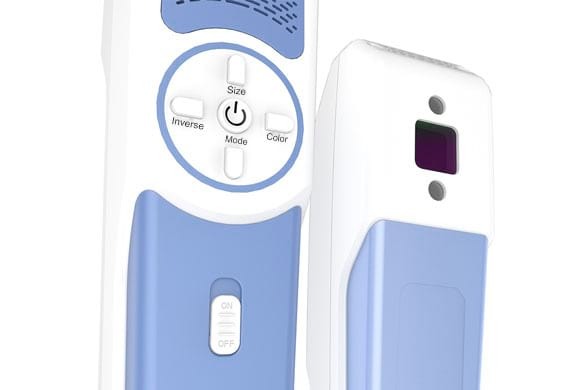 Considering the busy medical operations, we specially developed the standby mode to save power, just gently press the power button can quickly awaken the vein finder from the standby mode. VeinSight™ vein finder use the advanced vascular two-dimensional digital contrast technology, can provide real-time two-dimensional image data of shallow blood vessels, make it visualized of vascular structure, position, branches and blood flow, which can help medical staff to observe, find the veins as well as track the flow of blood and liquid to the maximum extent, to improve disposition efficiency of medical staff, so as to improve satisfaction of the patients. Click to see the new arrive products-VS400. BLZ Technology (Wuhan) Co., Ltd.